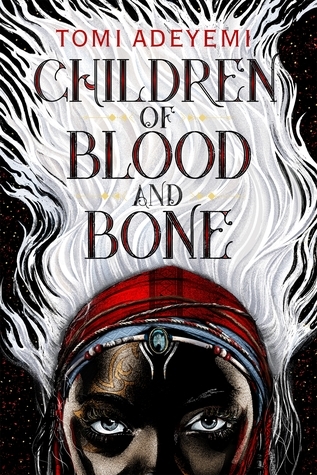 Children of Blood and Bone has been hailed as the biggest YA Novel of the year. This began last year as news trickled in about the plot and characterisation that would be seen throughout the novel and people got excited. So, the real question is does it live up to the hype? In my opinion I would say yes, yes it does. Hot on the heels of the release of Black Panther which has reached over $1Billion at the world wide box office, the literary world is set alight by this story full of mystery and magical elements. The addition of a royal family and the suppressed adds to the heightened emotions that are weaved throughout the book – with Tomi Adeyemi weaving threads that are drawn from real life events. These echoes are resonating with a wide audience – this book is definitely not just for young adults (no book is), it can be enjoyed by adults. The writing is fluid, the multiple point-of-views do not hinder the storytelling like is may in other novels. Instead, it enhances what is being told adding deeper meaning to the events throughout as seen by the characters who all have unique characteristics and personalities. This allows the reader to see an event from multiple angles, what is morally right or is it an ambiguous situation? Zélie is impulsive and forthright. She is someone who although they see the reasonable action will jump into any situation if she believes it will improve a situation. When life throws a situation at her, she runs with it and will (usually) do what is morally right. She is scarred by her past and as the story unfolds these scars shape her character more and more, without her realising just how much a past can effect the future. Zélie takes a little bit of warming up to, as does her brother Tzain, who is a very black/white out look on life. There is only right or wrong – even when it comes to family. He too undergoes a character arc which we witness from Zélie and Amari’s characters, it is subtler but he is loyal and a tactician. His personality is the Yin to Zélie’s Yang and together they work well as a brother/sister duo. Although the book is primarily about Zélie, I can’t help but feel that Amari is my favourite character. Her character arc is beautifully constructed and has mirrors of Zélie’s, she isn’t simply some pampered princess who has never suffered or seen pain. She has her own problems that she battles throughout the novel; the pressure of doing what is right; what is best for her; living up the expectation of others. From the first time we meet Amari it is clear that she is repressed, someone who wants more and as such she befriends her maid. This friendship is what spearheads Amari’s motivations and by the end of the book she is a changed woman and it is exciting to see what she will do next. The third point-of-view comes from Inan, Amari’s brother and the crown prince who is a character who will do anything for his country – even to the detriment of himself. This mental struggle against being what his father wants him to be and who he truly is, sets up Inan as a conflicted character. As the quest to do what his father wants leaves him bereft of choice, his life starts to come apart and he has to make big decisions as the story progresses. Personally, I wasn’t too enamoured by Inan and as the story came to a close I was interested in what happens to him but not to the same extent of Zélie and Amari. As you can probably see above one of the key threads throughout the story is how the characters interplay amongst one another and this is excellently done and manages to feel very organic. These emotions do not seen forced or simply plot points and it makes these interactions a joy to read. As the book comes to a close it is well set up for the next book in the series, there is plenty mystery and intrigue as to what just happened, what has happened to everyone and just what will become of Orïsha. On a side note, this book is long and as such the book is pretty big. The UK edition (especially the Waterstones edition) is beautiful and well worth buying but you may find the text to be on the small side. I would really hope it is available in Nigeria considering the author is Nigerian-American. I would suggest enquiring publishers whether they have acquired the rights to the book. If no, possibly through Amazon?